After winning the much publicized boxing fight last weekend against Philippine’s Manny Pacquiao, Floyd Mayweather Jr. Pocketed over 100 Million dollars an equivalent of over Nine Billion Kenya Shillings. The fight, billed as one of the greatest bouts of modern times, attracted some of the richest icons at the all sold out event currently rated as a historic, richest single payday attained by any athlete. Reports indicate that some of the ringside seats cost as much as 40,000 dollars (over 3.5 Million shillings). This also means the fighters may land more cash with Mayweather estimated to get 100 Million dollars more from the pay per view rights. Pacquiao is also expected to rake in over 100 Million dollars from the fight. “Overall, an estimated $500 million (over 46 Billion shillings) in revenue is expected to be counted in tickets, pay-per-view sales, concessions and merchandise,” according to CBSSports.com. Though he landed criticism for evading punches, hugging his opponent and running around the ring, Mayweather won the fight with a tactical approach with all ringside judges giving him highest scores at 118-110 , 116-112, 116-1112. 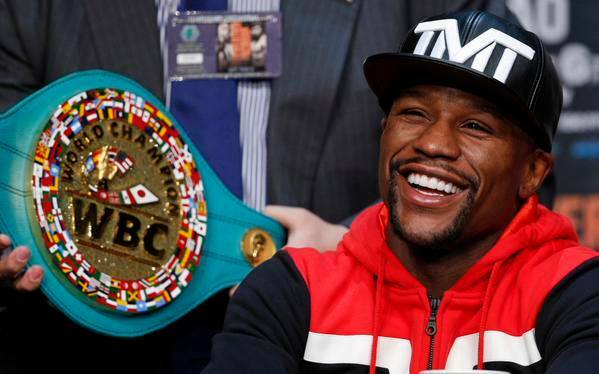 Mayweather has now said he will take on one more fight in September before hanging his gloves. He is yet to be defeated in his boxing career with Saturday’s win making it 48 out of 48 fights he has played so far.